An intriguing phrase “a house is different from a home” is what consumes me lately. It has an implication on what is happening right now in my household. You might think that they are the same but wait a minute. I will show to you their difference. 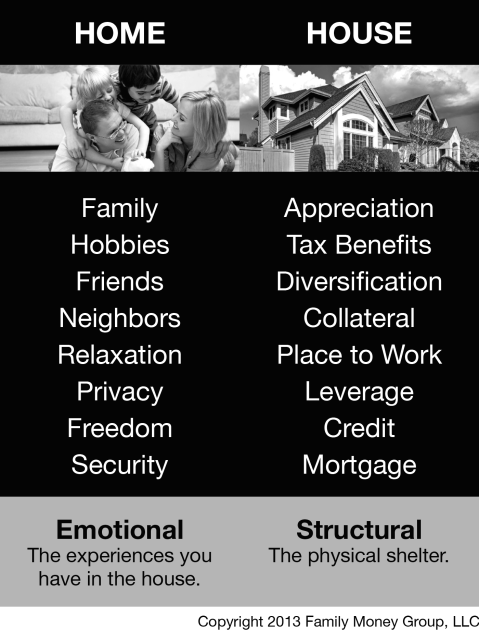 A house is the physical structure. It is made up of different materials such as wood, steel or concrete. The house refers to the place where someone lives. It can be big or small. It can also be simple or complex. Where the family dwells is considered as the house. A home is the family itself. You can say that you live in a house but you are not at home. Being at home is being with a person, sharing life and experiences. I am mostly at home when I am inside the house with my family. And I am also at home even in my working place when the people around me care a lot. It is important to have a working environment wherein you can feel at home. You can work well and become effective on your career. If you know how to distinguish the difference between the two, you will find it easier to do something worthwhile in life. You cannot just stay inside a house without building a home because the integral part of the house is the home. You should be at home when you are inside the house. A house is different from a home.